Hantuchova is still there: Will she stay, or go? At the beginning of their careers, the younger players have to start at the ITF and USTA Pro circuits. Everyone wants to reach the top pros, but you have to rack up some wins on the smaller circuits. If you’re not winning titles at this level, at least you have to improve every year, so you could win more consistently. Some willmove on, while others are stycj there for a very long time. If you’re not moving up the WTA/ATP level, you would have to decide: Do you want to stay, or do you want to go? Michelle Larcher De Brito, a popular Portuguese player who cracked the top 100. But she is now ranked No. 242. The American Maria Sanchez, who played at USC and was the No. 1 collegiate player throughout the 2011–2012 season. But, when she turned pro at the WTA, she was close to reaching the top 100, but could not. Now she is ranked No. 414. And believe it or not, the former No. 5, Daniela Hantuchova, is there at Morgan Run. The Slovak once reached the Australian Open semifinal. She won Indian Wells. She loves Southern California, but she is 33 years old and had a bad year in 2016. You know, 2015 wasn’t very good either. Hantuchova breezed through the first round with a double bagel over Louisa Stefani. But, the rising top seed, Kayla Day, eliminated her in the second round 7-6(3), 6-1. In a few weeks in IW, maybe we can see Hantuchova finds some wins and some peace of mind. The Czechs once again won, with Karolina Pliskova crushed Garbine Muguruza 6-2 6-2. Without a doubt, the No. 3 Pliskova can a major this year. Perhaps at Wimbledon. The Americans won fairly easy in Hawaii, cracking the Germans. The rising CoCo Vandeweghe won two matches, smoking the fine player Andrea Petkovic. USTA flap over playing old version of German anthem put damper on otherwise excellent American performance. Now the US has to face the Czechs at home in April. Will Serena and Venus play? Questionable. Grigor Dimitrov, who won Sofia over David Goffin, says that the now No. 12 is exhausted, but he is thrilled that he finally was able to win Bulgaria. The 19-year-old Alexander Zverev played outstanding tennis, beating Richard Gasquet in the final at Montpellier. He teamed up with his brother, Mischa, to take the dubs, too. Very soon, he will go deep at the Slams. The 36-year-old Victor Estrella Burgos won Quito, as the march of the 30-somethings continues. Believe it or not, Karolina Pliskova and Garbine Muguruza could face each other in the third round. The Spaniard is hoping that the hard courts aren’t too fast. Three other top players — Angie Kerber, Aga Radwanska and Dominika Cibulkova — are still in contention. Aga could face her good friend, Caroline Wozniacki , in the second round. They have had some marathons. Them, Tomas Berdych, Goffin and Dimitrov. Who wins? It’s likely Cilic, given that Dimitrov is exhausted. Kei Nishikori won Memphis many times, which he decided to go south, way south and now he is in Argentina. It must be about the $$$. There is on clay, which is just fine, given that he was won at Barcelona. This week, it’s Pablo Cuevas, David Ferrer (who is declining) and Pablo Carreno Busta. No, thanks, Mike & Bob. We’re good. 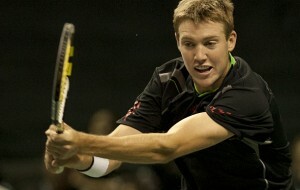 US Davis Cup captain Jim Courier must have been pretty confident to send out Olympic bronze medalists Jack Sock https://www.viagrasansordonnancefr.com/ou-acheter-du-viagra/ and Steve Johnson to earn the third and deciding point as Team USA faced off against Switzerland. The Americans had to snake their way through a determined Swiss duo of Adrien Bossel/Henri Laaksonen 7-6(3) 6-3 7-6(5). The doubles rubber victory sealed the first-round for the US. They will travel to Australian for a second-round matchup. Playing in the shadow of Bob and Mike Bryan didn’t seem to affect the American team and a packed, partisan crowd in Birmingham, Ala. Earlier this year the twins, who own just about every men’s doubles record any team could ever want, announced their retirement from Davis Cup competition. 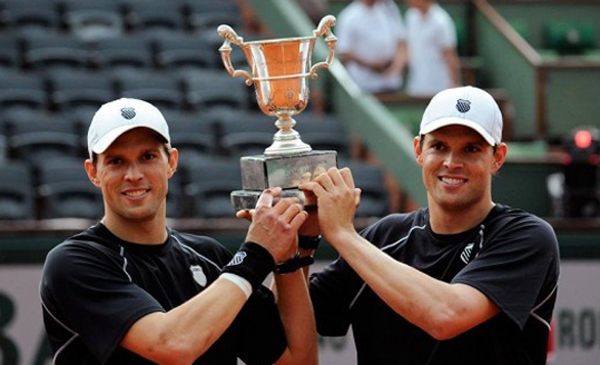 The Bryans won and played in more US Davis Cup matches than any other team. Since 2003, the brothers have been such a mainstay that the team U.S. had only sent out four different combinations for the doubles rubber in 34 ties. Compare that to most countries who often send out a hodgepodge of non-stars to represent them. Like the Swiss, who are here without two of the world’s best: Roger Federer and Stan Wawrinka. Courier choose to go with the Sock/Johnson combo instead of playing Sam Querrey, who was relegated to the fourth spot on the team as Sock and John Isner where picked as singles players. It’s fair to predict that Querrey will be pegged to play one of the two dead rubbers on Sunday. These matches will be the best of three sets. In doubles, the Americans pulled out the first set by overcoming a mini-break early in the tiebreak. Throughout that set the Swiss couldn’t smack a backhand winner while Sock/Johnson totaled eight. The second set was another story as the Americans took a strong lead, winning 13 of 14 points in the early games. The Swiss rebounded with one break but still couldn’t counter the Americans, who converted two of five break points. The third set provided some real drama, igniting a crowd who inserted chants and songs into pauses in the action. Both teams capitalized on a break each to set up a tiebreak. Sock and Johnson hits a number of stunning points, with low-angled volleys and crushing overheads. The Swiss had a chance to blast away an overhead late in the tiebreak. But the overhead didn’t have much pace and Americans were able to track it down and smash a down-the-middle groundstroke winner. The point of the match. 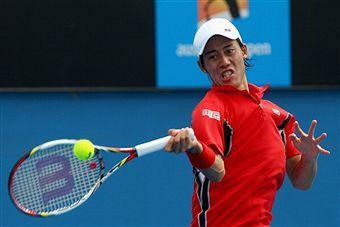 Australia, led by legend and captain Lleyton Hewitt, surprising took down the Czech Republic in straight matches. The Czechs played without top player Tomas Berdych. While playing on the road in Tokyo, France took all three matches to advance. Richard Gasquet and Gilles Simon made the trip while Kei Nishikori did not play. Led by Novak Djokovic, Serbia dispatched Russia in three. Italy, Croatia and Belgium stand 2-1 after two days. BIRMINGHAM, AL – Maybe what John Inser needed was a match within native South to find his big serve and groundstrokes. 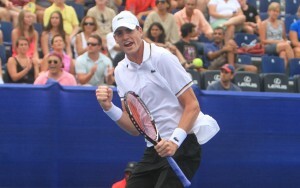 Isner overcame a first-set loss and months of underachieving to defeat Henri Laaksonen in the second rubber of the US vs. Switzerland tie. Isner returned is personal nirvana – the tiebreak – to dispatch Laaksonen in the fourth set. Isner found his stride with a 46 62 62 76 (1) victory. The 6’10” American backed up an earlier victory by Jack Sook to give the US and expected early lead in the first-round World Group Davis Cup tie. Even though he had no aces in the tiebreak, Isner cracked two service winners and watched as Laaksonen double faulted match point. As usual, Isner’s biggest weapon is his serve and he put away 28 access, surpassing 500 in his Davis Cup career. As he turned around the match after a mediocre first set, the American had four aces in the last game of the second set. As the first set fell away, the possibility of Isner less than stellar recent play must have crossed his and coach Jim Courier’s mind. 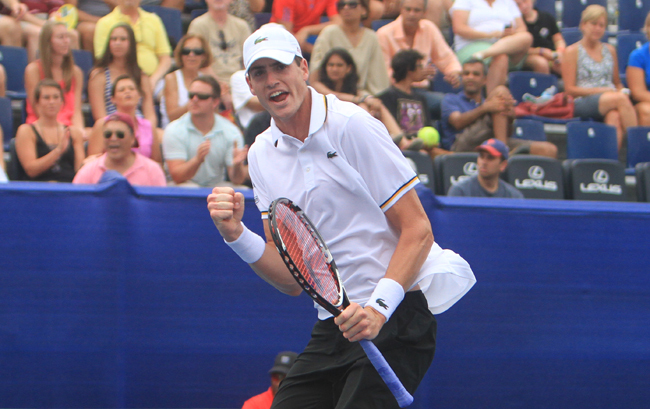 Isner has only won two matches this year, exiting from the Australian Open in the second round. Except for an appearance in the Paris final in the fall, Isner has had less than spectacular results in the last half of 2016. During that time, he lost his standing as America’s top male player, which he had held for numerous years. “I felt energized by this crowd,” he said during a post-match interview, citing the pro-American spectators who used a large drum and chanting to back their team. The most trouble Jack Sock had in taking down Marco Chiudinelli in the first rubber of the US vs. Switzerland Davis Cup tie was grabbing a first-set break. It took the American six tries to seal the set. Sock cruised with a 6-4 6-3 6-1 victory in the World Group first round. Dominating with his usual brand of punishing forehands and big serves, Sock battered the Swiss in the last two sets, repeating the pattern he has used to move into the Top 20. In a turn of events, Sock has moved past long-time top-dog American John Isner. Now Sock played the No. 1 position in this tie, as his last six months has shown improvement while Isner seems to be slowly losing the edge in his vaunted power-serving game. Of course, Chiudinelli’s place in the world of Swiss tennis has long been No. 3, slipping now down to No. 146. That makes Henri Laaksonen, at No. 127, the top Swiss player here. But, hey, this is the Swiss B team with the last two men’s Grand Slam winners – countrymen Roger Federer and Stan Wawrinka – being no-shows. Sock clamped down on Chiudinelli beginning in the last game of the first set. At 0-30 Chiudinelli’s second serve bounced off the tape and barely missed the line, giving Sock three set points. Then the Swiss rattled off three straight service winners. Chiudinelli throws in another double but he bangs a punishing overhead to get back to deuce. It wasn’t until Sock placed a dying drop shot on the sixth break point that he grabbed the first set. The American was off and flying, taking the first three games of the second set, breaking on his only break chance of the set. In the second game, Chiudinelli had to face a Sock service winner. He followed it up with a sloppy ground stroke. Sock easily took control of the game. Bolstered by the early break, Sock started feeling his game. “I think I was a little hesitant at the beginning; maybe too conservative playing when obviously my game is to kind of play big and hit big forehands and be aggressive. … Then, when I was able to get the break it kind of made me able to play my game.,” Sock said. He agreed that he built some real momentum in the second set. Sock sets the stage for what is predicted to be relatively easy first round. If the US wins here, it would face the winner of the Czech Republic/Australia tie. The Aussies took a 2-0 lead today as Jordan Thompson shocked Jiri Vesely and Nick Kyrgios was also a straight-set winner over Jari Satral.